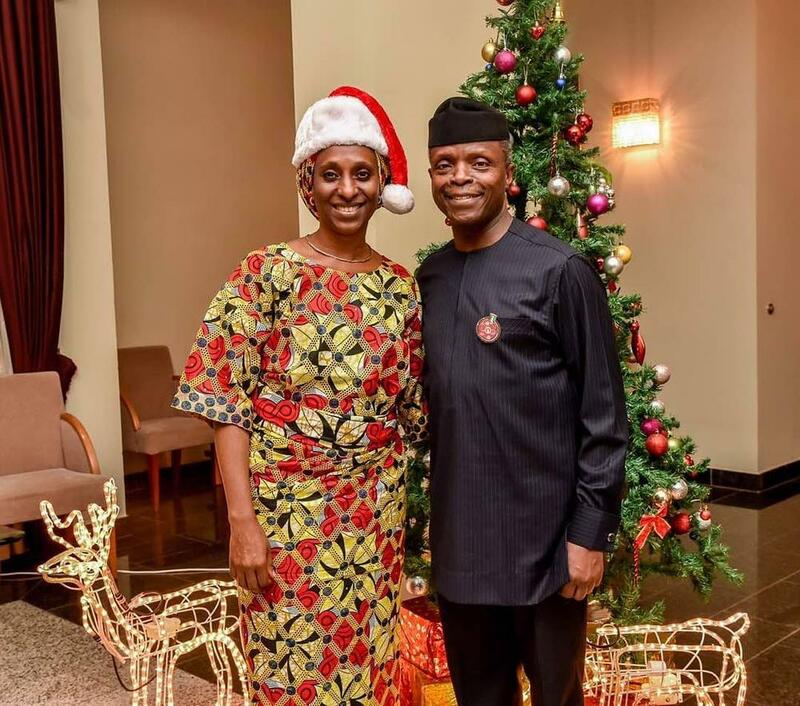 Vice President of Nigeria Yemi Osinbajo and his wife Dolapo Osinbajo have shared lovely photos in the spirit of Christmas. 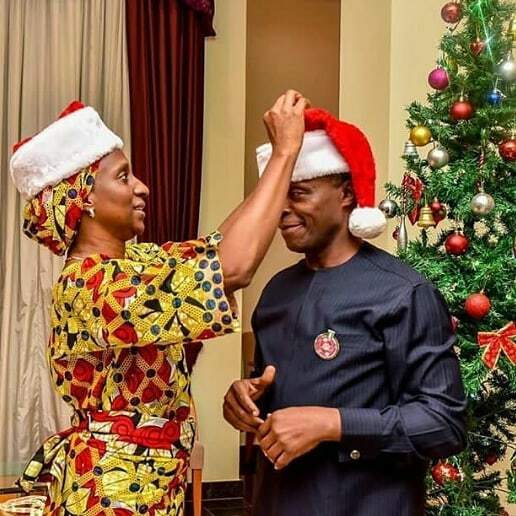 The photos show the couple with Christmas hats on their heads as they stand beside a Christmas tree. 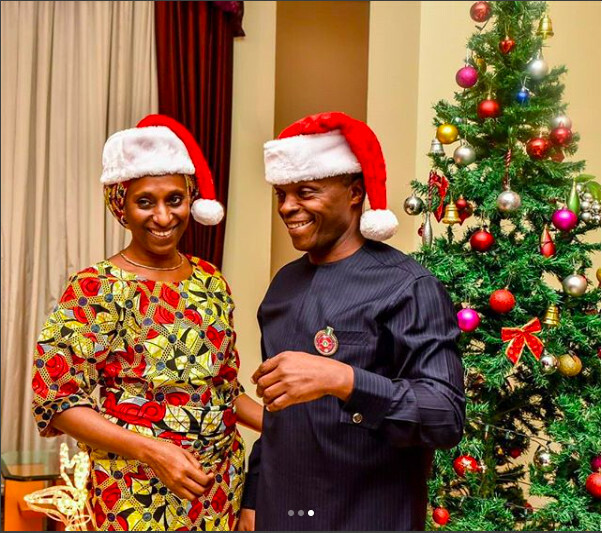 The Vice President captured the photos on his page with “Merry Christmas and may 2018 be your best year yet.” while Dolapo Osinbajo captioned the photos with “Merry Christmas and a happy new year to you!”. I just love them…. Happy holidays everyone! They both look beautiful! I’d love to see Dolapo in a gown just once.. Put some respek on dt name… Alright? 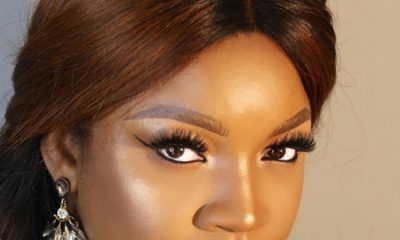 This woman is too simple sha. I still have nightmares about Patience Jonathan’s Swarovski crystal covered cape/cloak/caftan/agbada thingamajig…and her Jack Sparrow hat. At least she was not boring. Laah! Another case of Nero playing the harp while Rome was burning. 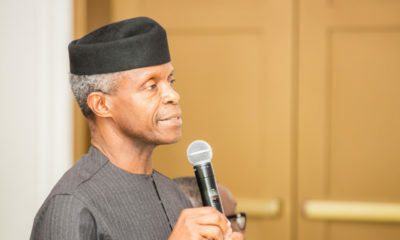 Fuel scarcity, GTBank-Innoson brouhaha, boko haram, etc.